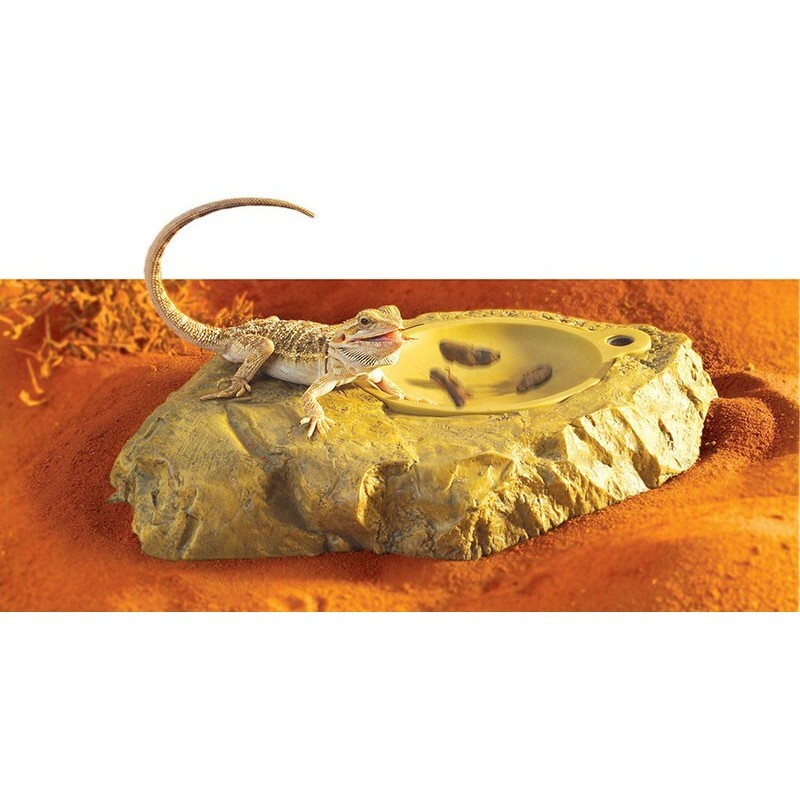 The Vivicator is a remote controlled vibrating feeding dish and is the perfect alternative to feeding live insects to your reptiles or amphibians. The high frequency vibrations simulate the movement and the motion of live insects on the rubber feeding platform. Since insectivorous reptiles and amphibians are triggered by motion, they will be immediately attracted to the moving items. 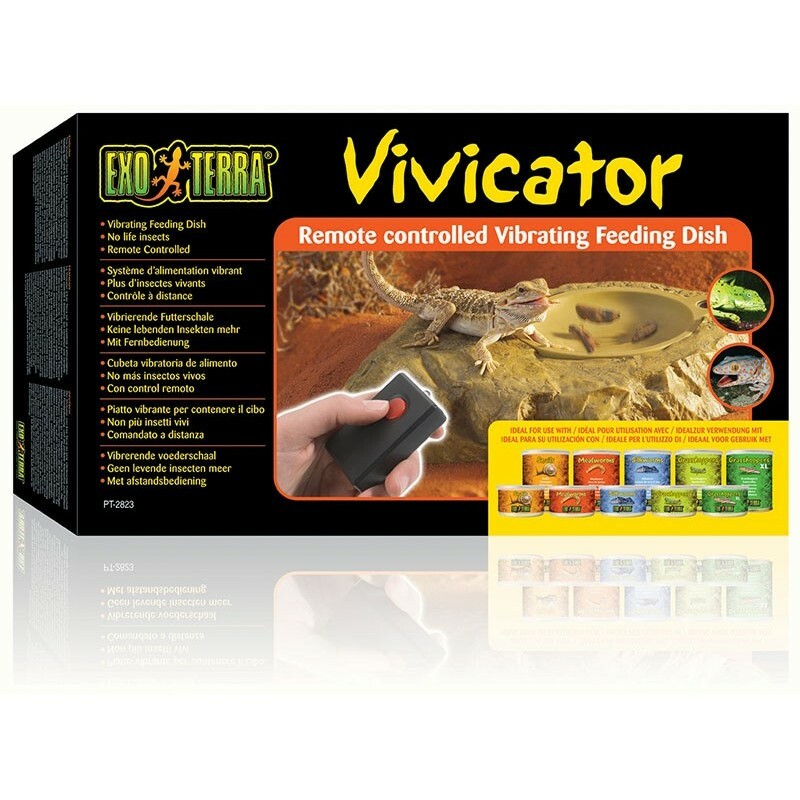 The Vivicator from Exo Terra is a remote controlled vibrating feeding dish and is the perfect alternative to feeding live insects to your reptiles or amphibians. The high frequency vibrations simulate the movement and the motion of live insects on the rubber feeding platform. Since insectivorous reptiles and amphibians are triggered by motion, they will be immediately attracted to the moving items (canned insects, freeze dried insects or pellets). The Vivicator is remote controlled, so the device can be turned on without causing stress to the terrarium animals. After pressing the button on the remote control, the Vivicator will run for about 15 seconds and can be repeated until all items are eaten. 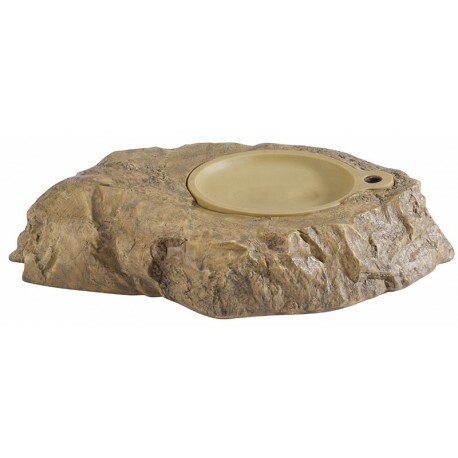 The feeding platform is easy to clean and can be removed from the 'stone' during cleaning.